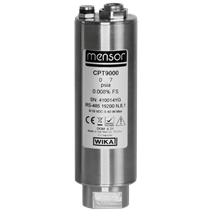 The model CPT9000 precision pressure sensor is designed to excel in performance and value. With an accuracy of 0.008 % IS-33, a temperature compensation range of -20 ... +75 °C [-4 ... +167 °F], calibration interval of one year and selectable ranges from 25 mbar ... 1,001 bar [10 inH2O ... 15,015 psi], the CPT9000 stands alone in performance and value. 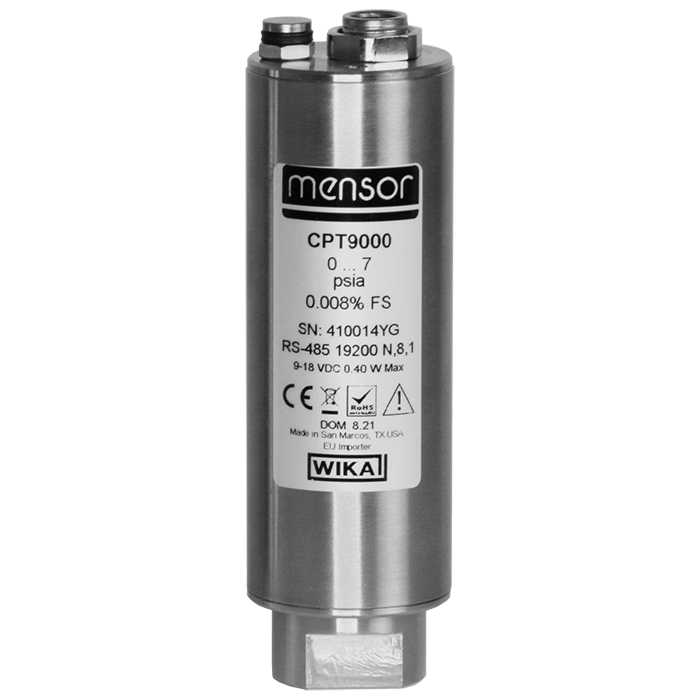 The CPT9000 is at the top of Mensor’s digital pressure sensor line. Or also for applications where high-accuracy pressure measurements and long-term calibration stability are required. The model CPT9000 has an RS-232 or RS-485 interface. The RS-485 interface offers multi-drop capability with simple cabling and three different baud rates to choose from. The sensors can be configured for gauge and absolute pressure for any measuring range within the specified limits. With a recalibration interval of 365 days and a high resolution of 8 significant figures, the CPT9000 is flexible enough to be used in a wide variety of applications.